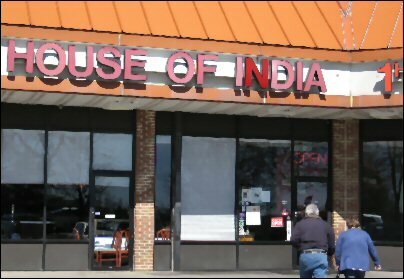 We won't stand any of you schmucks referring to House of India on Snowden River Pkwy in Columbia, MD as a mere Indian restaurant. No, folks. Most definitely, no. 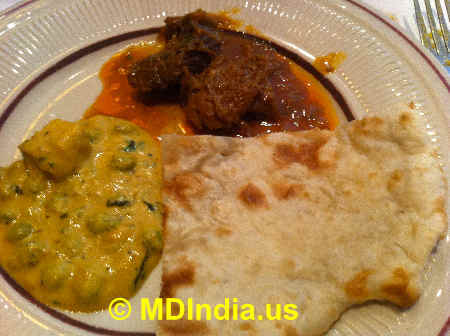 Au contraire, House of India is a shrine to India cuisine. A temple so beautiful that we swooned under the spell of its delicious offerings. At a time when most Indian restaurants in the U.S. serve trashy food unworthy of being flung at mongrels, we give thanks to God for House of India. From the nonpareil Tandoori Chicken to the creamy Mutter Paneer to the sui generis Chicken Tikka Masala, House of India's offerings are a treat not merely for the taste buds but for all your senses. Rarely have we encountered such an embarras de richesse in Indian food. And that too, all at one place. Even the humble Yellow Dal with its tomato and cilantro seasoning turned out to be a delight here. What a surprise since Dal invariably gets short shrift at 99% of Indian restaurants here. Were the Gods smiling on us? Perhaps! If we were asked to pick our favorites among the several fine items, we'd unhesitatingly point to the creamy Mutter Paneer, the succulent Tandoori Chicken, flavorful Goat Curry and the out of this world Chicken Tikka Masala. Forget mortals. Each of them was a dish fit for the Gods. Chicken Tikka Masala is often an Orangish nightmare at other places. Not so here. Pour a few spoons of the Chicken Tikka Masala with its nice thick gravy on a heap of rice, and if you don't immediately get on a mighty high after the first fork-full then something is wrong with you. Seriously wrong. With a slightly smoky aroma, Tandoori Chicken was a well-marinated treat while Goat Curry with its nice smell and nicer taste in a slightly oily gravy kept us in a joyous mood. On the vegetarian side, it was the Mutter Paneer that captured our imagination. A rich creamy delight, it was an extravaganza without parallel. Never have we had such a fine Mutter Paneer. We tried it with Naan bread and, well, bliss was it in that "dawn to be alive." Channa Masala gave no cause for complaint. Palak and Alu Gobi dishes could definitely have used more chillies but still the chef had weaved his magic into these items as well. One of the few disappointments of our meal, but not a big letdown, was the Chicken Biryani. Compared to the other dishes, it was merely alright and lacked the strong, powerful flavor and aroma that this popular Indian dish comes with. 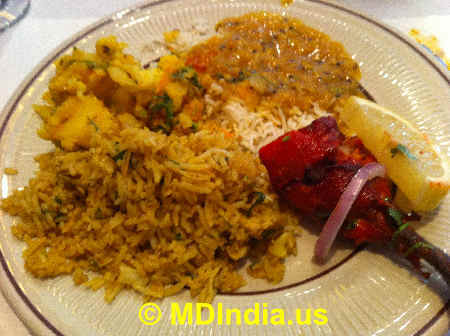 The interesting thing about House of India was that none of the items were what we'd call very spicy but still extremely flavorful. That's a hard trick to accomplish. One reason, House of India was perhaps being careful with the heat was because it attracts a lot of non-Indian diners. During our visit, the majority of patrons were non-Indians with their effete, pussified palates. With food so good, is it any surprise that by now we were etre au septième ciel. House of India's delicious fare is obviously a testament to the high quality of its kitchen staff. By the way, how much ever you eat at House of India just be sure to leave enough room for desserts. 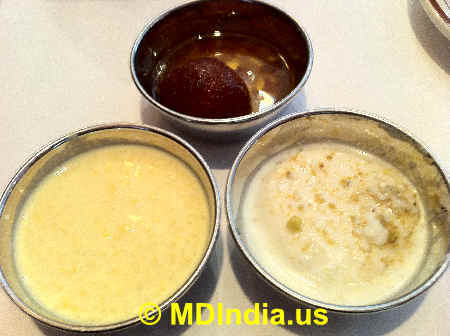 We ended our meal with three popular Indian desserts - Gulab Jamun, Rasmalai and Rice Kheer. In a hot sugar syrup, the soft Gulab Jamun was divine. Rasmalai in a milk solution and Rice Kheer were not heavenly but good enough for mortals like yours truly. Kheer was slightly short of sugar but still flavorful. While some aspects of the service found favor with us, others irritated us. The tall fair waiter did not get us extra napkins despite our asking for them and waiting for five minutes. Chutiya, you don't deserve the job there. The short dark desi guy and the Hispanic waitress made up for it with their polite and pleasing attitude. Also, one of the dining plates had a couple of black spots. 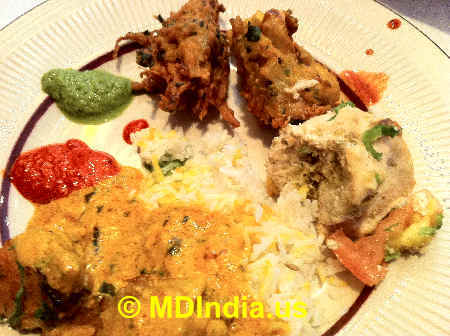 For all those passionate about Indian food and living in a 60-mile radius of Columbia (MD), not to dine at House of India would be a cardinal sin. 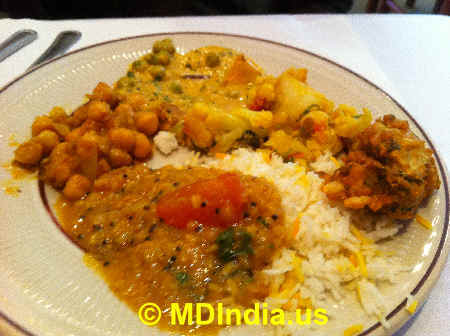 At $11.95 (week days), the lunch buffet is superb value for money.